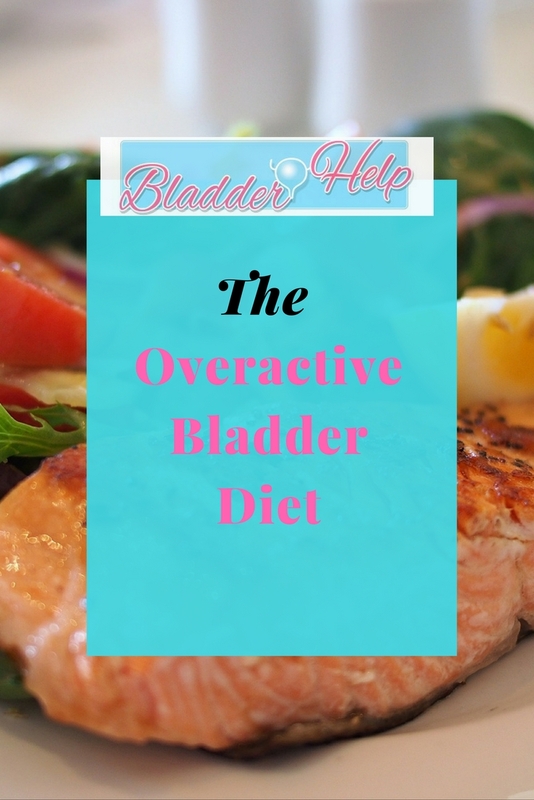 The overactive bladder diet is designed to avoid potential irritants that could increase urinary frequency and to give our body everything it needs to function optimally. A good diet has to be the foundation of every healing protocol. Why? Because our bodies are designed to use different nutrients to carry out metabolic functions (i.e. all chemical reactions taking place in the body) and to build and repair cells. All these nutrients are found in the natural foods that we have evolved with but are lacking in the typical Western diet. In order to help our body to work efficiently it is wise to consume a diet high in fresh, nutrient-dense foods and low in nutrient-poor, calorie rich foods that deplete nutrients and weaken the immune system. This can help build strong pelvic muscle and avoid irritation that may affect the bladder. Gut health is important for optimal nutrient absorption. Moreover, issues like constipation and bloating can put added pressure on an overactive bladder. Nutrient-dense foods, bone broth and fermented foods all support gut health and a healthy bladder wall. I recommend a paleo/ancestral type of diet – consider what foods humans consumed before factory food existed. Buy the best quality you can afford – organic, grass-fed, free-range and local is always best as they have a higher nutrient profile and a lower toxic load. Clean carbohydrates (in moderation): Starchy vegetables such as potatoes, sweet potatoes, yam, plantain, cassava, squash, carrots, beets, swede, parsnip and soaked white rice or other gluten-free grains, sourdough or sprouted grains and bread made from them, soaked beans and legumes. Urine is one of the major eliminatory channels of the body, which means that many waste products and toxins are flushed out of the body via urine. The more concentrated our urine is, the more toxic and irritating it can become, thus potentially increasing the urge to urinate. Being dehydrated can cause other problems as well, including constipation (which can increase pressure on the bladder). On the other hand, being too hydrated increases urination. The blood carries electrically charged ions such as sodium and potassium. If they become too diluted we may experience symptoms such as dizziness, mood swings, cold extremities and increased urination as the body tries to re-establish electrolyte balance. Official recommendations are to drink 1.2-2 liters a day, ideally water or (non-diuretic) herbal teas. Normal urination is around 4-6 times per day. Pay attention to urine color. It should be straw colored. Listen to your thirst mechanism. Don’t force yourself to drink just because X has told you so. Fluid intake may have to be adjusted depending on activity levels. I found that cold water increases my bladder activity, therefore warm water may be preferable. It may be better to spread the intake of fluids over the day rather than drinking a lot at once. To reduce nocturia (the need to urinate often at night) it may be wise to limit liquid intake after 6pm. Thank you very much for your extremely helpful site. My story is the follows: I stopped gluten 10 years ago since I found I digest better without it, but otherwise have had a “normal/healthy” diet and was in good shape. Then after a year of intense stress in July 2017 I suddenly developed severe intestinal pain as well as symptoms of a UTI. Everything started on the same day. This was accompanied by strange lightheadedness, nausea, brain fog, extreme fatigue. I thought I had a UTI and was having a panic attack at the same time, but it didn’t stop. The doctor gave me classic antibiotics for the UTI and an anti-spasm drug for the intestines. 2 days later I was worse and the doctor gave me another round of antibiotics. I never had a urine test so don’t know if I ever had a real UTI. Symptoms got slightly better, less acute (no more burning when peeing), but they continued: severe bloating, abdominal cramping/tightness/pain, occasional constipation or diarrhea, constant bladder soreness/pain, very frequent urination, intense fatigue and sometimes the totally debilitating brain fog. My GP tested me for mycoplasma and they found small amounts of ureaplasma urealyticum in my urine, and even though it was only a very small amount (considered normal) she prescribed antibiotics against it. This helped slightly for a few days then got worse… so another round was prescribed, which I stupidly took, with the same result (it was a false lead). A GI specialist said there could be no relation between the intestinal pain and the bladder symptoms, and a urologist said the same. Both gave me more drugs which I didn’t take. I knew that all symptoms were related because they started exactly the same day, and because when the gut was doing worse, the bladder was also, and they both had the same better days as well. I know now I have both IBS and overactive bladder. I intuitively stopped all sugar and alcohol, but was still eating white rice, other gluten-free grains, potatoes, and high-glucose fruit. Finally in mid-september I saw a naturopath who had me do a stool test which showed a ton of yeast, and I immediately researched candida and went on the anti-candida diet, which is essentially the same as the one you recommend here — and both gut and bladder symptoms got better remarkably. I haven’t been able to go on the herbal anti-fungals yet (I’m waiting for them to be sent from the US — I live abroad). Now after 1 month of the diet I’m much better but not fully recovered, by far. I still have very bad days, but more and more good days. Clearly the problem was a stress-induced dysbiosis of both gut and bladder, simultaneously, as different symptoms of the same problem. It may be yeast or may be other dysbiosis (probably both). The 4 rounds of antibiotics were enough to put a lot of yeast in my system — I took them after the first onset of symptoms, so yeast may be a complication from antibiotics and not primary cause. It may not matter ultimately which bug(s) are the culprit(s), since it’s all just a big mess, the whole balance is upset. I’m hoping that a rigorous diet, time, patience, de-stressing, and the anti-fungal supplements will bring me back to normal balance. I appreciate that you’re making the link between gut flora and bladder flora… even the naturopath I consulted didn’t make the link. It seems so obvious to me now. Yes, clearly more research on this is urgently needed. I’m wondering why you don’t put sugar on the list of irritating/aggravating foods to avoid? It seems to be the one that causes the most problems for me. An interesting detail that might interest you and your readers: Before I got the confirmation of yeast in my stool, and was despairing about everything, I happened to have the occasion to eat a good bit of French raw-milk cheese, especially Comte (which I’d been avoiding before that, with all milk products, figuring they’re hard to digest) — and to my surprise, my bladder symptoms got quite a bit better overnight. This was the only change in my diet right then. It seems there are some good probiotics in raw-milk cheese that help with urinary dysbiosis! Good luck to all who are suffering from these awful symptoms… have hope. Hi Danielle, thanks for sharing your story – I have updated the post to include all sugars, as you are right that this wasn’t quite clear. The problem with anti-candida diets is that yeasts can go into ‘hibernation’ when deprived of food and just come back when these foods are re-introduced. A better way is to boost good bacteria and yeasts over time to out-crowd the ‘bad’ guys. Some research has also indicated that when trying to kill bad microbes it is more effective when they are being fed as they are easier to eliminate in this form. Not one diet fits all anyways. There is also the chance of fungal infections in the bladder, something that would not show up on tests (I have a blog post about this). Good luck for your further journey, you seem to be on the right path! Oops, forgot to clarify, I did finally have a urine test for bacteria after 2 weeks or so which was negative. Also, on second reading there are some important differences between your diet here and the anti-candida one, which says to stay off all sugars (not just refined), as well as fruit and grains altogether and minimize white potatoes. — D.